A blue-eyed ninja with spiky blond hair and whisker marks is leading Tencent Holdings Ltd.’s campaign to capture the eyes and wallets of China’s anime fans. 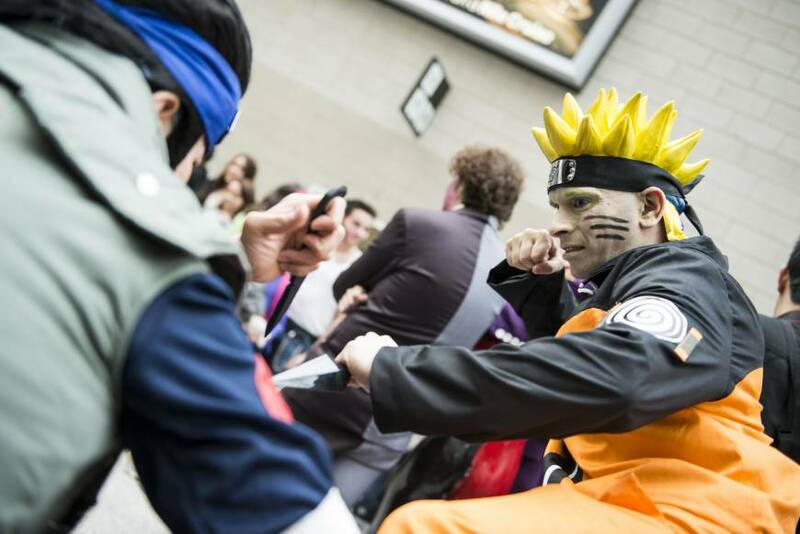 The hero, Naruto, a keystone of manga, isn’t fighting alone. He’s in a stable of characters assembled by Tencent that includes a Chinese teen on a quest for immortality and a hugely popular gang of treasure-seeking pirates. Their mission: to help Asia’s biggest Internet company lure more customers to its messaging and video sites. Tencent bought the rights to more than 300 Japanese anime franchises and cultivated others at home with a plan to parlay them into multimedia juggernauts. The creator of WeChat and QQ intends to generate revenue in several ways: by putting some comics behind a paywall, and by licensing the characters for movies, games, toys and clothes. 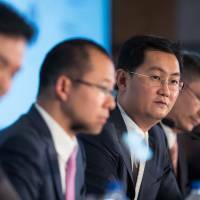 Regardless of the approach, Tencent is chasing a domestic market expected to double in value to $31 billion by 2020. Modeling its entertainment business after a Marvel Studios-style conglomerate pits Tencent against Japanese titans Toei Animation Co. Ltd. and Studio Ghibli Inc., and domestic rivals Alibaba Group Holding Ltd. and Baidu Inc. The anime market in Japan alone was valued at ¥1.6 trillion ($14.1 billion) in 2014, according to the most recent research from the Association of Japanese Animations. That’s a 10 percent increase from the year before. “Right now, we stand the best chance of doing this in China,” Ma said during a March 3 news conference. That’s because Shenzhen-based Tencent has a pair of super-sized social-media tools at its disposal that the others don’t: the WeChat and QQ messaging services with more than 1 billion users combined. The apps can direct traffic to videos, and studios can set up chat groups for fans. 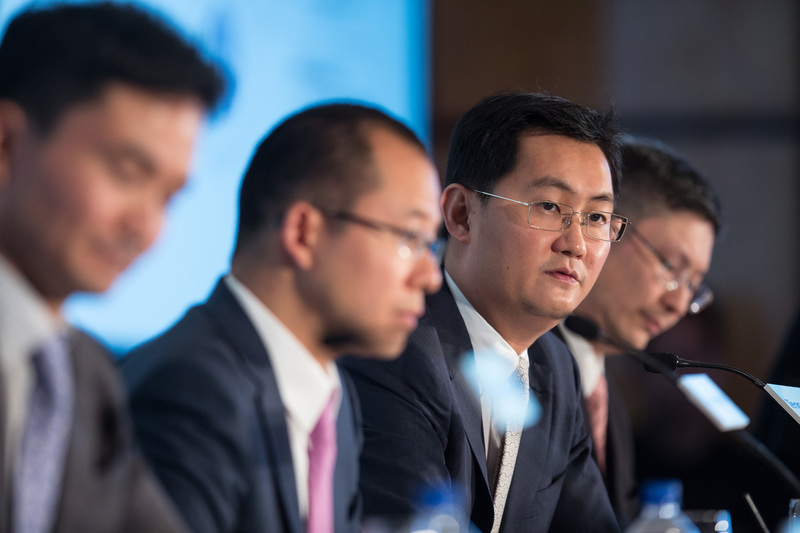 They have evolved into platforms for shopping, gaming and banking that will fuel financial results when Tencent reports fourth-quarter earnings Thursday. Profit is projected to rise 27 percent to 7.4 billion yuan ($1.1 billion) while revenue surges 32 percent to 27.8 billion yuan, according to the average of analyst estimates compiled by Bloomberg. 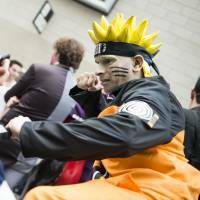 The character Naruto Uzumaki, who debuted in a Japanese manga in 1997 and now stars in films and TV series, is featured in a new smartphone game made by Tencent. The franchise’s popularity in China is stoked by animated episodes streamed on an Alibaba-backed video website. Revenue from games will increase by 21 percent in the fourth quarter, according to Chi Tsang, a Hong Kong-based analyst at HSBC Holdings PLC. The rights to games for Naruto and the pirate saga “One Piece” are owned by a unit of Tokyo-based Bandai Namco Holdings Inc. The “One Piece” TV series in Japan surpassed 700 episodes. In the past, that content was either broadcast on Chinese TV or sold on pirated videotapes and DVDs, stoking cult followings. The franchises now developed by Chinese studios mimic the Japanese animation style, with stories tailored for local audiences. Tencent’s ambitions come as the Chinese government limits the amount of foreign-made entertainment that can be broadcast or streamed. In 2004, China set goals of promoting a domestic animation industry. Two years later, the government limited the times for broadcasting foreign cartoons and required provincial TV stations to produce one cartoon for every imported one, according to a government notice. By 2014, China had more than 4,600 anime companies and 220,000 people working in the industry, according to the state-run People’s Daily Online. “There is an insatiable demand for anime content as a generation of Chinese people watching Japanese anime come into their 20s and bring anime into mainstream culture,” said Alfred Chen, whose Hangzhou-based Comicloft Studio works with Tencent. Chen’s comic blockbuster, “There Was a Ling Jian Mountain,” was adapted from a novel published on Tencent’s literature platform. It tells the story of Wang Lu, a blond boy with superpowers who takes a journey seeking immortality. The comic has recorded more than 600 million page views, according to Chen. Tencent pays Chen’s studio about 30,000 to 50,000 yuan per month to cover costs, and the companies agreed to split future licensing rights for games and screenplay adaptations. A TV series based on the comic is now broadcast on the Tokyo MX, KBS and AT-X networks. Tencent has licensed the rights to Emontoys and Actoys, known for selling detailed figurines. What gives Tencent the edge over other platforms is the instant connection with readers, Chen said. Within seconds of posting an issue online, comments start buzzing. Those are pinned on top of the artwork, with lauds and rants about the hero’s hairstyle or the credibility of the plot. The live comments are known as dan mu in Chinese, meaning bullet curtain. That real-time feedback helps artists when developing characters and storylines, Chen said. Studios also find it a plus that Tencent pairs them with in-house editors to brainstorm ideas and analyze user responses, said Wang Peng, whose studio in Tianjin has produced seven titles. Its most popular is “The Weirdo,” about a student named Zhang Chulan who discovers he has superpowers. The comic, skewed toward young males, has 200 million page views. Tencent editors still vet storylines to make sure they don’t criticize the Chinese government. The comic is being considered for development into a series. Tencent has identified 11 comics, games and novels it wants to turn into movies. Innovation Works, the venture-capital fund backed by former Google Inc.
China head Kai-Fu Lee, has invested about 150 million yuan combined in nine domestic companies connected to the anime industry, said Chen Yuetian, an investment manager.